After years of coding sloppy and one-project-at-a-time minded, I am starting to see the value of modular reusable code. Also, I started to get embarrassed by using my github account solely for personal archiving instead of it’s intended purpose: to put open-source-worthy code online. 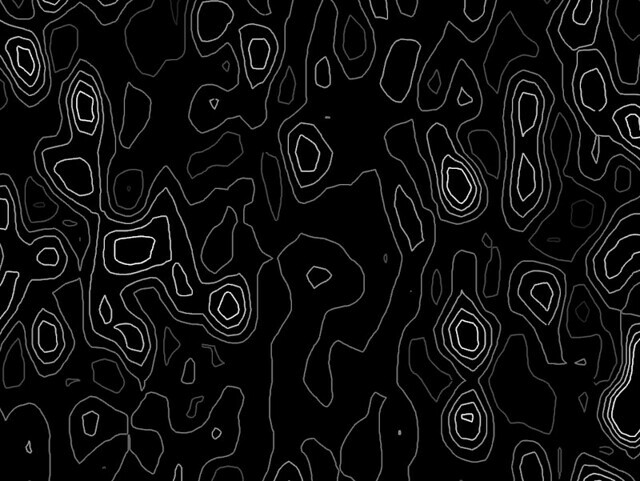 So, while wrapping some C++ code to draw contour maps of electron density data for HKL•••XYZ, I made the extra effort to package it into my first openFrameworks addon: ofxContourPlot. It is basically a wrapper/adaptation of Jonathan de Halleux’s contour-plotting c++ code (A C++ implementation of an improved contour plotting algorithm) which is based on Michael Joseph Aramini’s thesis Implementation of an improved Contour Plotting Algorithm. It draws contour map outlines based on data coming from a mathematical function (not an image).